Schenker India Pvt. Ltd., part of global logistics service provider DB Schenker, received the “3PL Solutions Provider of the Year” Award for its innovative 3 PL solutions. The prestigious 8th Supply Chain and Logistics Summit and Excellence Awards was organized by the Indian Chamber of Commerce (ICC). The Chief Guest for the evening was Ms. Leena Nandan, Additional Secretary – Logistics, Ministry of Road Transport and Highways, Government of India. The event was presided by Dr. Rajeev Singh, Director General, ICC, and Mr. Nikhil Kush, Director Logistics, APAC, DuPont, and Summit Co-Chair, ICC. The Award consolidates DB Schenker’s leading position in India in the 3rd Party Logistics Business. As customers are faced with increasingly complex supply chain requirements in a connected world, 3PL providers are well positioned to leverage this opportunity with their expertise and resources. 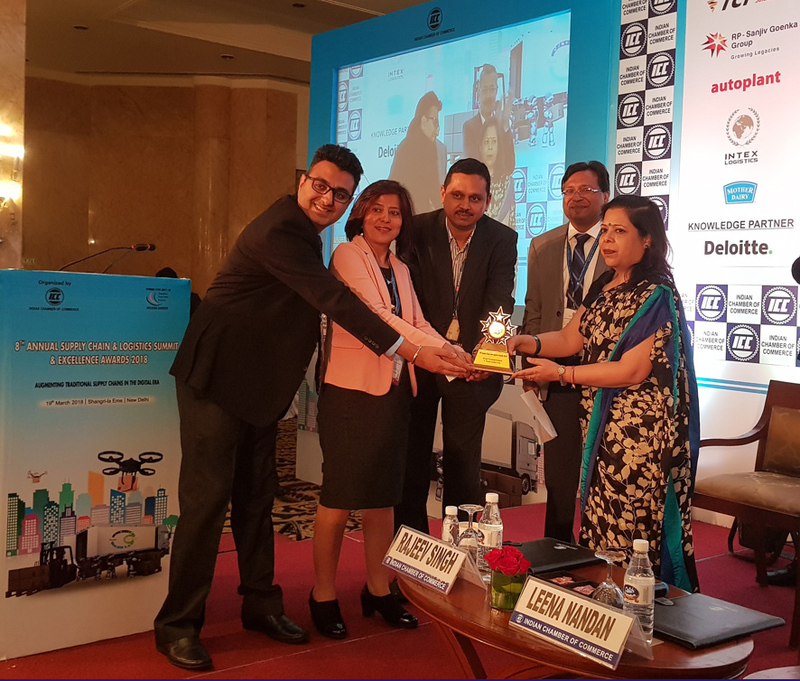 DB Schenker India was recognized for its innovative solutions for seamlessly integrating customers supply chain requirements while offering scalable solutions across warehousing and transportation services customized to a client’s particular needs with ease and cost effectiveness. The 3PL Solutions Provider of the Year Award received by Mr. Gaurav Chopra, Senior Manager – Marketing & Communications, Ms. Renu Bohra, Chief Human Resource Officer (CHRO), and Mr. Anil Kumar Chauhan, National Head – National Distribution.